JAL will start serving a healthy "Tonkotsu style" ramen in First Class and Business Class. Image by Japan Airlines. 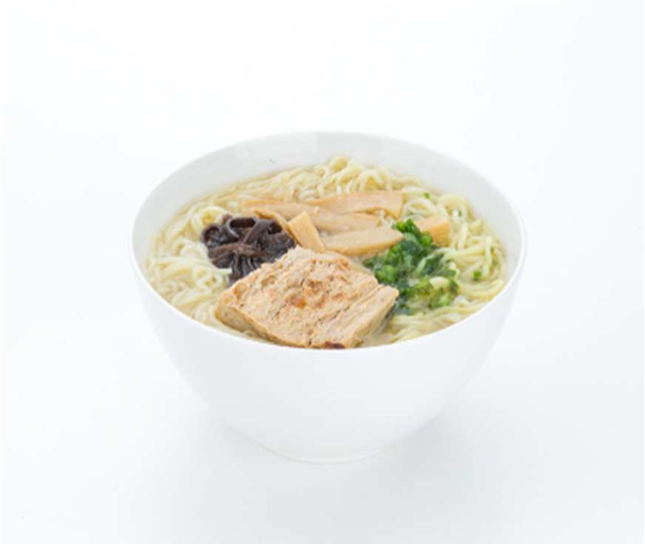 Vegetarian Tonkotsu style ramen available on JAL Anytime You Wish menu. Image by Japan Airlines. Also, the wheat noodles are also prepared without eggs and you could enjoy the same toppings of cloud ear fungus, bamboo shoots, green onions, and veggie pork, ginger, and sesame that Kyushu Jangara used at its stores. Interestingly this is only available on select long-haul flights to Japan but not the other way round. This is probably why the ramen cannot contain meat as there are stricter regulations that prohibit ANA from serving its own tonkotsu ramen on flights departing from the US. If you are traveling in First Class and Business Class on flights from Los Angeles, Chicago, New York, London, Frankfurt and Paris to Japan, you will be able to order this from the Anytime You Wish a la carte menu after the first meal from December 1 2013. 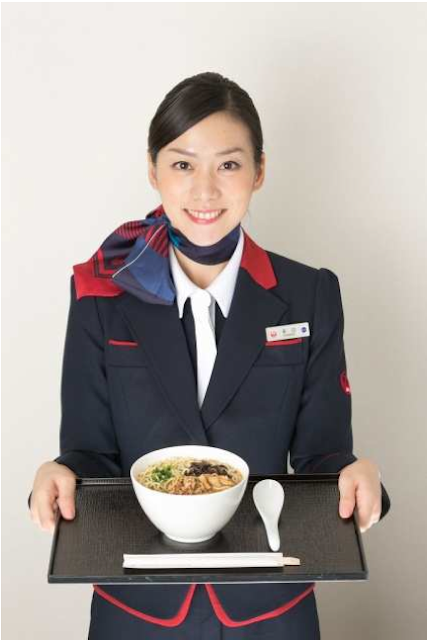 The shouyu ramen and sansai udon will continue to be served on other flights, at least according to the December menu.